You are here: Home / Curling irons & wands / Which is The Best Hair Straightener and Curler 2 in 1? 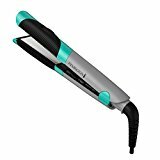 Which is The Best Hair Straightener and Curler 2 in 1? I have medium thickness shoulder length hair which tends to be on the frizzy side if I leave it to dry naturally. So, unlike nature intended, I like to style it properly but I don’t want lots of different styling products. I’d rather have one piece of equipment which does everything, so the hair straightener and curler 2 in 1 seemed like a good idea! I used to rely heavily on my hairdryer to straighten or curl my hair but it takes so long and I find it difficult to control the hairdryer and curling brushes when I want to curl it. 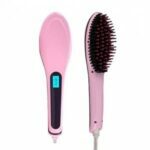 The same applies when I want to straighten it out – using a paddle brush and a hairdryer never gives me straight, sleek hair. I also find that when I use my hairdryer and go out, after a few hours my hair starts to frizz up if it’s been straightened and the curl drops if I’ve curled it up. It’s not the result I dream of, especially when I’ve spent over an hour styling my hair! 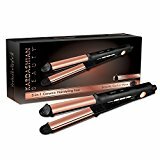 I’ve highlighted my 3 favorite 2 in 1 straightener and curlers. I’ve included a full review of each option in the full article. I decided I needed to try and find something else so I road-tested three different products. Incidentally, all are available on Amazon.com which makes life easy because there are lots of customer reviews too. You hopefully know you are buying the right tool just by reading some of the reviews, so I was confident in my choices. The Tyme Iron represents a high quality option which skillfully combines a straightener and curler in one option. 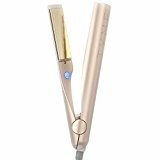 This represents a professional styling product in a sleek gold design. The Tyme offers a heating a consistency of 400 degrees and the ability to create long lasting curls in 10 minutes or less. Just keep in mind there is a little bit of a learning curve when using the Tyme. For more information and my personal experience, read my full Tyme Iron Review. The final product I purchased was the InStyler Ionic Styler Pro Hot Brush and Ceramic Flat Iron which is in the same price range as the Kardashian Beauty Iron. 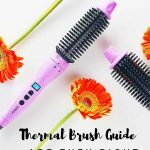 The reason I listed this one was because I’ve always managed to curl my hair using a brush and hairdryer and this had the brush built in so I thought it was worth trying. I was pleasantly surprised because the bristles are good if you have medium to thick hair. They really grip and I feel like it’s not applying too much heat (although it gets hot). However, there is a tendency to trap some hair in the iron area when using the brush so it can be awkward to use and you do need to really section your hair out to achieve good curls. I like the two heat setting as well because I use the lighter setting when I want to straighten. It does take some practice to get this right but if you keep going with it you will work it out. By the way, don’t be tempted to use this on wet hair it is only for dry hair. 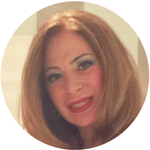 The first product I tried was the Remington Ceramic Hair Straightener and Curler 2 in 1. I thought this option offered a nice price point with high customer ratings. I bought this one because it does both the jobs I want. It curls and straightens so if I feel sleek and smart I wear my hair straight but if I want to be more glamorous I use it to curl. It heats very high, up to 400 degrees F in half a minute and has a swivel cord so you don’t get tangled up. I love the auto-shut off too because it means there’s no danger of leaving it on. It’s quite light to use and doesn’t give you wrist ache (unlike my hairdryer). The ceramic coating means even heat-distribution and supposedly is less damaging to hair. I can tell you that my hair straightens out beautifully with this product and looks smooth and shiny, without that layer of frizz that my hairdryer leaves. When I want curls, it’s easy enough to use, you wind the hair around the bottom part of the barrel and clamp shut, then release after a few seconds but the button does get in the way a little so beware because it can catch on hair. On a big positive note, because it’s rounded you don’t get the dented look of curls which you get from a very angled hair straightening tool. Overall, I like my Remington S6600 and use it regularly but I prefer it more for straightening than curling. The second product I purchased was a little more pricy. It’s the Kardashian Beauty 3 in 1 iron. I was tempted by this product because of its name, the Kardashian’s have great hair so I thought I’d try it. This model also sports high average customer reviews. It’s not as good as the Remington although it has similar rounded plates. The Kardashian product plates are also infused with “Black Seed Oil” supposedly for great shine and yes, my hair is sleek and straight when I use it but not as “swishy” as the Remington. I also find it doesn’t hold my curl as well although it does give good shine. One big disadvantage is the temperature setting control is badly positioned, so when you use this product you can accidentally change the setting. Go too high and you could damage your hair. Help! 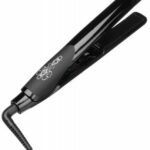 Which Curling Flat Iron Should I Buy? #Hairsay with Daniel Galvin Jr.
Hi Katie, I love your article. I drop my Remington Pearl Pro last month but will definitely buy Remington 2 in 1 in next few months. Keep up good work.